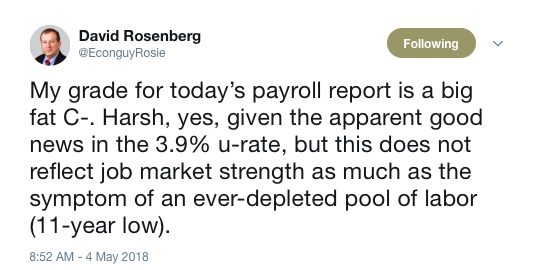 Danielle Dimartino Booth and David Rosenberg discuss the jobs report, where David see's a recession not in two years but in one year. Countdown to April jobs report — Challenger layoff data hinted at downside in today’s report.And that’s exactly what we saw. At the same time, the disconnect between wages and the skilled worker shortage will have too close at some point. A jobs report filled with disconnects.